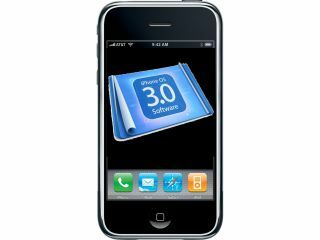 If you have an iPod touch and have paid your £5.99 to upgrade to the latest OS 3.0 released this month, then you are in the small minority of one per cent of users that have chosen to shell out for the upgrade. Mobile advertising firm AdMob has been monitoring the requests for OS 3.0 and blames the fact that iPod touch owners have largely ignored the update on the fact that it has a price tag attached to it. "Developers looking to sell applications utilising the 3.0 features can't be happy with Apple's decision to charge for the upgrade as it limits their available market size for downloads," says AdMob on its blog. Still, the news that Apple looks likely to launch a new iPod touch in September might ease your mild annoyance at having been charged for something that your iPhone-toting mates got for free. CNet notes that "fans of the iPod touch who felt left out due to last week's launch of the iPhone 3G S, take heart: there's a new device on the way. In the BlueTool initialisation script in the iPhone 3.0 firmware there are mentions of a new iPod touch called 'iPod3,1.' Given that the current generation is referred to as 'iPod2,1' it would seem to indicate that Apple has a new version in the works." The rumours as to what new and improved features the new Apple iPod touch begin right here! What do you want to see? Video recording? A better screen? Improved sound quality (to compete with Sony's new Walkman range)? iPod touch owners are always keen to stress how the device is "just as good as an iPhone, without the costly and dodgy mobile phone features" (as one TechRadar staffer reminded us today), but surely the issue for Apple is ensuring that the iPod touch doesn't get too good, otherwise, the mass market might stop buying all those millions of iPhones in the next few years.